Many foreigners are not impressed with the public healthcare in Beijing, especially when they are faced with urgent medical situations. The state of the public healthcare is quite desperate with long wait lines and inadequate quality medical assistance. The preferred option for expatriate community is usually the private hospitals and clinics, even for non-emergency consultations. On the other hand, Beijing locals are generally quite content with this peculiar situation in Beijing and have to put up with the long queue rather than visit private GP clinics. This further exercabates the wait lines and the frustration, which are not what expatriates encounter with private clinics. Here in Beijing, majority of the general practitioners running private clinics are often foreign doctors from English speaking countries, namely Europeans or the Americans. Additionally it is also easy to find Traditional Chinese Medicines offered by some local physicians. Both fields of medicines tend to operate separately from each other; with minimum (if any) overlapping. Since the country opened its door to world trade, Beijing has benefitted greatly in the commercial sense, and this in turn has improved healthcare service locally. 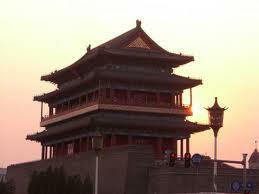 Today many regard Beijing healthcare is comparable to some of the finest cities in the world. The healthcare sector is also boosted by the six top-grade hospitals in China. The most famous hospital in Beijing is perhaps the Peking Union Medical College Hospital (also known by the locals as Xiehe Hospital). It is also one hospital with long history to boast as it was established by Rockefeller Foundation in 1921. This hospital has gathered some of the finest medical professionals; with a respected team made up of some of the greatest practicing physicians as well as internationally renowned medical researchers. It is also highly regarded in the country, consistently being recognized as the top hospital in China over the past 80 years. PUMC Hospital also hosts two hospital campuses. Beijing Union Medical College Hospital is a reputed children hospital. It was developed by academician Zhu Futang, the forefather of Chinese pediatrics, in 1942, and today it enjoys the reputation as being the biggest and most famous children hospital in China. Beijing Tongren Hospital represents the hallmark of Traditional Chinese Medicine. It came into being in 1886, and Beijing Tongren Hospital now is famous for its primary care as well as specialist treatment. Proud owner of some of the latest medical equipments and technologies, it is especially noted as the foremost treatment center for its superb ophthalmology and otorhinolaryngology. Beijing Anzhen Hospital started life in April 1984. This is one hospital which boldly targeted itself to being a Chinese premier hospital, capable of providing a comprehensive range of healthcare services while special attention on heart and lung diseases treatments. Anzhen Hospital, in collaboration with the Beijing Institute of Heart, Lung & Blood Vessel Diseases (founded in 1981), established a medical institution that specializes in integrating medical treatment, teaching, scientific research, prevention, and international exchange. This is the first joint-development by both the Beijing authority and Japanese government. This is the symbol that represents the close working relationship between the Bijing health authority and Japanese Government during the early 80s. This China-Japan Friendship Hospital has won world acclaims on its excellent work on general medicine, emergency care, and particularly its integrative medicine approach (the successful integration and subsequently application of both the Western and Traditional Chinese Medicine). If you wish to have receive more information about International Health Insurance in Beijing ask us for a Free Quote, please do not hesitate to contact one of our team member.